Providing commercial landscape maintenance, seasonal flower display design and rotations, integrated pest control, organic and chemical turf management, and a wide range of other landscape services for private and public business, industry, medical, defense, and HOA sites. Professional design/build solutions unique to each business, home, and property utilizing natural and manufactured stone, clay, and concrete products to create beautiful patios, walls, driveways, and roads. Get information on Brick Paving and more! Providing a wide range of commercial design/build landscaping solutions to meet any public and private business needs. 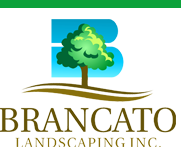 With our knowledgeable staff we are able to create landscape solutions from basic plant material replacement to commercial design/build to sustainable solutions to meet municipal and state code.